If you're a PAM Transport driver, being fuel efficient can pay off big time. 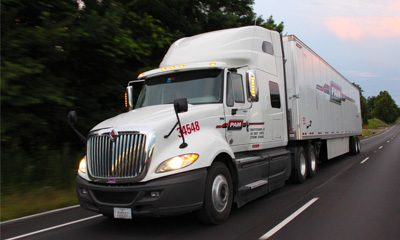 For the third straight year, PAM Transport has awarded more than $600,000 in cash and prizes to its drivers! The concept is simple. PAM Transport drivers work hard for the company and the company works hard to acknowledge these efforts with awesome bonus opprtunities and some unbelievable prizes (like a brand new Harley). 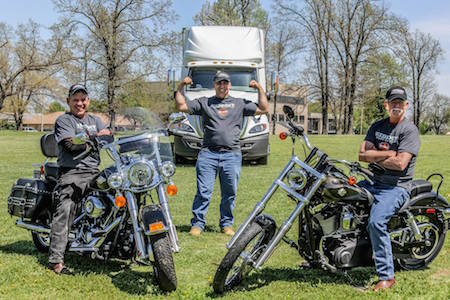 Take a look at this great photo of the 3 Harley Davidson motorcycle winners (2013, 2014, 2015) all gathered at this year's Mission MPG event which took place on April 10th, 2015. As you can see, being a Mission MPG grand prize winner and taking home a Harley is an exciting time. 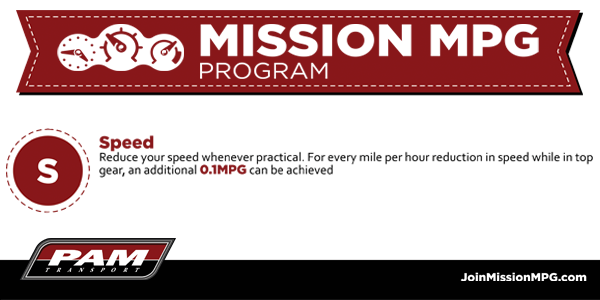 So, what is the Mission MPG thing all about? 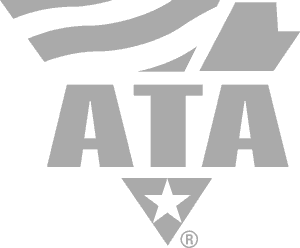 It’s a program the company started to reward drivers for their fuel efficiency with cash prizes and bonuses. 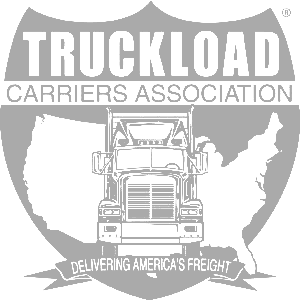 Drivers compete against other company drivers and those that perform in the top 40%, 25%, and 10% of their peer group are eligible to receive great bonuses. 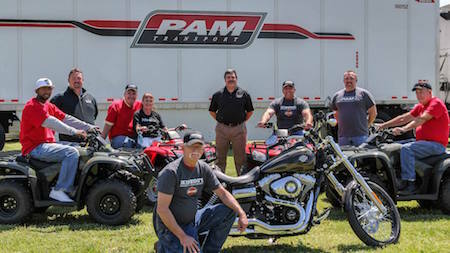 Each year, a special ceremony is put together at the PAM Transport headquarters in Tontitown, Arkansas to celebrate the achievements of this elite group of drivers and to award the 5 annual prizes - 4 brand new Honda ATVs and 1 brand new Harley Davidson motorcycle (this year's model was a wide glide). These prizes are on top of the cash bonuses that the elite drivers at PAM Transport earn throughout the year. Here's a photo of all winners this year along with a few members of the fuel team at PAM Transport. 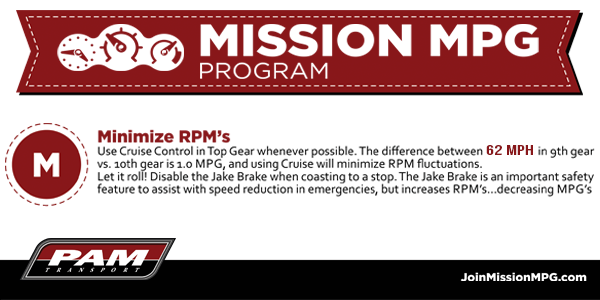 Minimizing RPMs: Minimizing RPMs is an easy way to conserve fuel. To do this, use cruise control whenever possible and use the lowest possible RPM in the highest possible gear. Idle Off: Whenever possible, turn the engine off instead of idling. Idling uses one gallon of fuel for every hour spent idling, which can rack up to about $7,200 a year. Not only can it hurt the pocketbook, it can cause problems with engine wear and pollution. Speed: Reducing speed is a straight-forward way to reduce your fuel consumption. For every mile per hour reduction in speed in a top gear, an additional 0.1 mpg can be achieved. 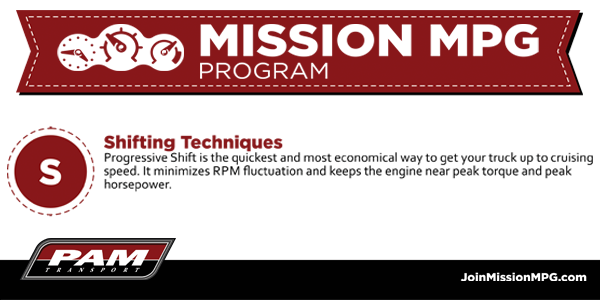 Shifting Techniques: Progressive Shifting minimizes RPM fluctuation and keeps the engine near peak torque. Progressive shifting is the act of bringing RPMs up just high enough to shift into the next gear. Inflation and Inspection: Tire pressure is crucial for fuel efficiency. Maintain the steering tires at 110 pounds and the drive tires at 100 pounds. Every 10 PSI below results in .05 mpg loss. On Time Maintenance: Preventative maintenance is important for maintaining fuel efficiency and will ensure that the truck is running at peak efficiency. Narrow the Gap: Aerodynamics can influence fuel efficiency as well. Minimize the gap between the tractor and trailer to less than 30 inches for a mpg increase of .25. A gap in excess of 30 inches can increase drag by over 2%. 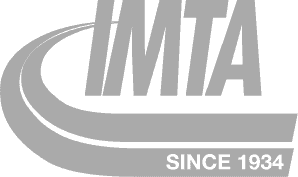 There are so many great perks that come along with the MISSION MPG program at PAM Transport and the best thing is that it doesn't matter how long you've been with the company - you can always take advantage of the rewards. For more details and to find out how YOU can join the mission - Go to JoinMissionMPG.com!